Spring is here and it’s time to the make the most of your garden. To help, we’ve created an Indoors Outdoors Hub on our website, where you can find out how to enjoy your outside space, all year around, in a stylish extension of your home. With advice, tips and guides to help create a stylish outdoor extension to your home. To celebrate the start of Spring and longer days and lighter evenings, we’re offering one lucky person the chance to win a Palma Sofa Casual Dining Set worth £1,799! The Palma Sofa set features a Casual Dining table, three-seater sofa, two armchairs and two stools and is available in a choice of White Wash or Rattan colour wicker, with taupe cushions for the finishing touch. 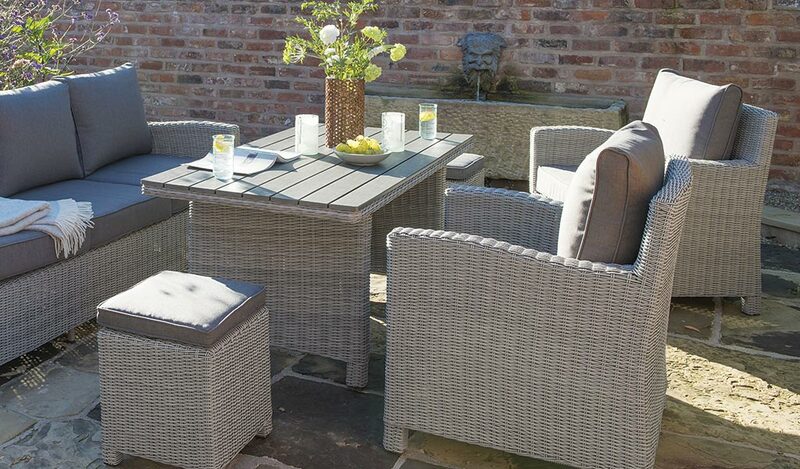 Providing a simple stylish solution to the problem of needing a dining or lounge set, Casual Dining offers a touch of luxury with relaxed seating and garden dining, with just one furniture set. To win, simply click here and enter your details. Good luck!